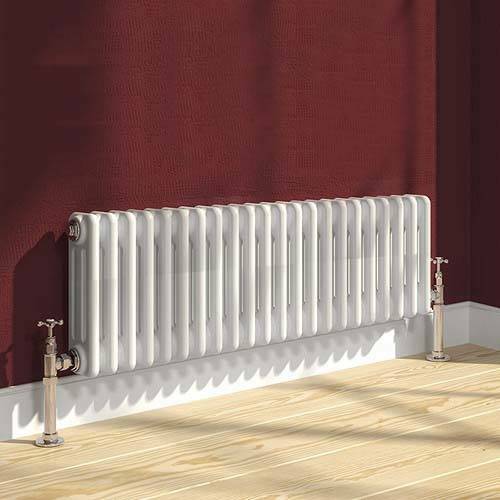 Reina Radiators > Colona 3 Column Radiator (White). 300x1370mm. Colona 3 column radiator in white. 3171 BTUs. Size: 300H x 1370W mm. Heat output: BTUs: 4912 (1440 watts).